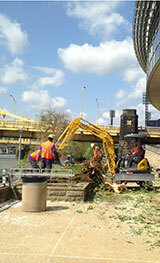 We’re proud of the most professional exterior landscape management team in the Pittsburgh market. Our top managers are college degreed horticulturists who are dedicated to helping our customers maximize the value of their property. We use creativity and state-of the art technology to arrive at more cost-effective ways of servicing the properties we maintain. Our goal is to be the lowest cost provider, with the best service at the best price. Since joining us in 1995, Jim Consoli has recruited and trained an exceptional team of landscape managers and crew members that has helped make Plantscape's landscaping department great. 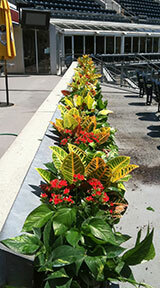 Jim is a nationally certified landscape professional (CLP) and has a B.S. in ornamental horticulture. Click here to email Jim. A Penn State graduate horticulturist with 22 years of experience as a garden center and landscape manager, Chuck joined us in 2003 as our sales and marketing manager, Exterior Division. He works with computer-based landscape imaging and design to help clients visualize what their landscaping will look like before we start to install, service or renovate. Click here to email Chuck or call 412-281-6352 Ext. 208. After 15 years of prior landscape experience Dave joined Plantscape in 2000 as a crew member, a crew leader, a foreman, and now as an account manager handling clients' properties in the regional area. 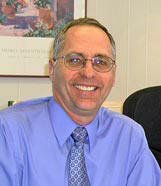 He is totally committed to giving our customers the highest level of professional service. Dave studied horticulture at the Community College of Allegheny County. 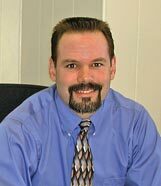 Before joining us in 1996, Tim operated his own landscape company in Beaver, PA for 5 years. He worked in landscaping design and project supervision for a landscape contractor for another 5 years. Tim is a nationally Certified Landscape Professional (CLP) and is intent on providing Plantscape clients with the best level of service. He also has a B.S. degree in Horticulture form Penn State. Chris has been with Plantscape since 2009. 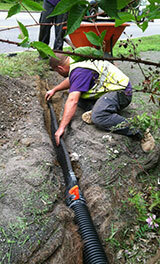 He excelled as a landscaping team member before becoming one of our finest managers. Chris is in charge of customer relations and retention, crew operations and enhancement projects. Chris is on the safety committee and is OSHA 30 certified. He ia also AWP certified. 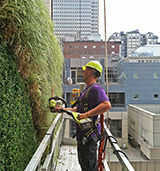 He has his pesticide applicator's license, and is soon to become a Certified Landscape Professional.